Earth Day is an annual event that aims to inspire awareness of and appreciation for our environment. There are two different observances of Earth Day, both held annually during spring in the northern hemisphere. 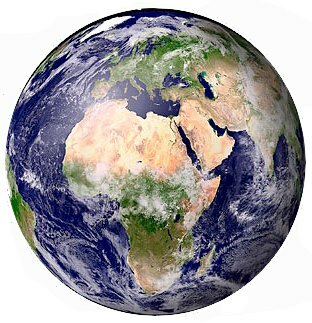 The United Nations celebrates Earth Day each year on the vernal (March) equinox; while a global observance in many countries is held each year on 22 April. Earth is the only planet in the Solar System to have water in its three states of matter: as a solid (ice), a liquid (sea, rain, etc.) and as a gas (clouds). The length of time it takes for Earth to orbit the Sun is 365 and a quarter days. To make up this extra quarter which isn't counted at the end of a year, we have an extra day every four years on 29th February. Only 29% of the surface is actually 'earth.' The rest of the planet's surface (71%) is made up of water. Information on the meaning, history, customs and traditions of Good Friday and why the day is called Good Friday. The game of marbles has been played for hundreds of years and some historians say that it might have been started by rolling eggs. In the past, round stones, hazelnuts, round balls of baked clay and even cherry stones have been used. In some place in England, Good Frday was called Marble Day or Long Rope Day. All through Lent the traditional games marbles and skipping were played. The games were stopped on the stroke of twelve noon on Good Friday.